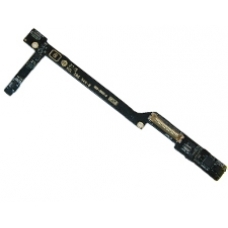 Rear camera and button control board for the iPad 2 (3G Version), if your rear camera or power button or volume buttons no longer function and you are confident these parts are in working order, you may have a faulty camera / button control board. The control board offers connections for the iPad 2 rear camera and button flexible circuit for iPad 2. * Genuine Apple Control Board Replacement Part. * Apple Part Number: 631-1667.